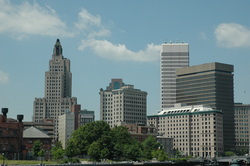 Rhode Island Bankruptcy Law Center at Fabisch Law, L.L.C. Bankruptcy laws help people who can no longer pay their creditors get a fresh start. Bankruptcy laws also protect troubled businesses and provide for orderly distributions to business creditors through reorganization or liquidation. I can't keep up with my bills, can filing for Bankruptcy help? Yes. The filing of the petition automatically prevents, or "stays," debt collection actions against the debtor and the debtor's property. As long as the stay remains in effect, creditors cannot bring or continue lawsuits, make wage garnishments, or even make telephone calls demanding payment. Creditors receive notice from the clerk of court that the debtor has filed a bankruptcy petition. Some bankruptcy cases are filed to allow a debtor to reorganize and establish a plan to repay creditors, while other cases involve liquidation of the debtor's property. In many bankruptcy cases involving liquidation of the property of individual consumers, there is little or no money available from the debtor's estate to pay creditors. As a result, in these cases there are few issues or disputes, and the debtor is normally granted a "discharge" of most debts without objection. This means that the debtor will no longer be personally liable for repaying the debts. Can I keep my home? What about my car? Often, yes. 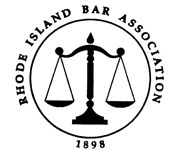 Though each person's financial situation is different, it is often possible to make use of the Rhode Island state exemptions to keep your personal property including equity that you have in your car or home. For more information contact the Bankruptcy Center at Fabisch Law Offices today to schedule your free initial consultation. Call 401-324-9344 to set up a free initial consultation with bankruptcy attorney Matthew Fabisch and get back on your path to the American Dream. Block Island, Bristol, Burrillville, Central Falls, Charlestown, Coventry, Cranston, Cumberland, East Greenwich, East Providence, Exeter, Foster, Glocester, Hopkinton, Jamestown, Johnston, Lincoln, Little Compton, Middletown, Narragansett, Newport, New Shoreham, North Kingstown, North Providence, North Smithfield, Pawtucket, Portsmouth, Providence, Richmond, Scituate, Smithfield, South Kingstown, Tiverton, Warren, Warwick, Westerly, West Greenwich, West Warwick, Woonsocket. Fall River, New Bedford, Brockton, Norfolk, Wrentham, Easton, Attleboro, North Attleboro, Dartmouth, Taunton, Raynham, Rehoboth, Norton, North Seekonk, Somerset, Assonet, Freetown, Acushnet, Walpole, Sharon, Franklin, Belingham, Milford, Mansfield, and Foxboro.